From time to time we may run special promotions and offer discounts on our software. The following Terms & Conditions apply to any such competitions, discounts and other special offers we run, herein referred to under the generic term "promotions". Promotions advertised or promoted though one or more of our social media channels are not endorsed by the respective social media platform or company(s). Unless otherwise stated, a promotion may only be entered/used once by any given organization or individual, subject to qualifying criteria. Promotions run for a limited time only. Any times indicated in a promotion's expiry are in UTC unless otherwise stated. We reserve the right to withdraw a promotion before it is due to expire without prior notification. Once a promotion has expired, references to it may persist on one or more of our social media channels, or on our blog. The presence of such references after a promotion's expiry do not infer that a promotion is still valid or ongoing. Some promotions may be restricted to new customers only. 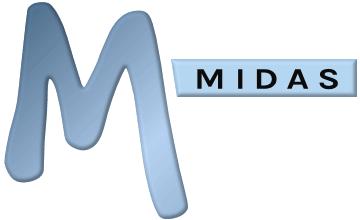 Some promotions may be restricted to existing customers only, and may also require the customer to first be running a specific version of MIDAS. Some promotions may be restricted to certain geographical regions and/or currencies. Where such promotion restrictions exist, only entrants who meet all the qualifying criteria will be eligible to partake. Promotions will not apply retrospectively. By partaking in a promotion, you fully accept these Terms & Conditions.